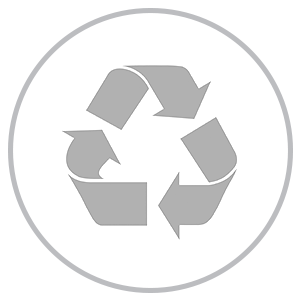 Aluminum cans made from recycled aluminum use only 8 BTUs, which is a 95% energy savings. Aluminum cans made from recycled aluminum release 40% less carbon emissions. Aluminum cans are made from 50% recycled aluminum. Steel cans made from recycled steel result in a 50% energy savings. 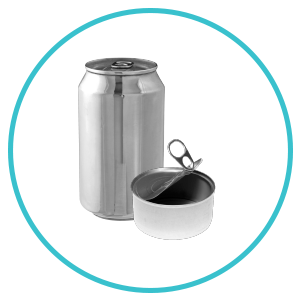 Steel cans made from recycled steel emit 4 to 5 times less carbon. The steel industry claims that it is the number one recycled material in North America with a 68.7% recycling rate in 2006. Paper made from recycled paper results in a 64% energy savings. Paper made from recycled paper uses up to 80% less water. Recycling one ton of paper conserves 17 trees. Glass made from recycled glass results in a 50% energy savings. 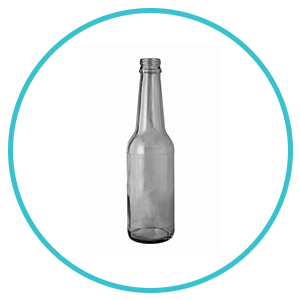 Glass bottles made from recycled glass emit 4 to 5 times less carbon. A ton of glass made from 50% recycled materials saves about 300 lbs. of mining waste. 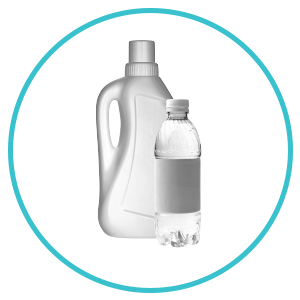 Recycling a pound of PET plastic saves approximately 12,000 BTU's. Plastic containers made from recycled plastic emit up to 8 times less carbon. If everyone in the US was able to reduce their 10.8 pieces of junk mail received each week, we could save nearly 100 million trees each year. If every household in the US replaced one roll of non-recycled paper towels with a roll of 100% recycled paper towels, we would save 864,000 trees and 3.4 million cubic feet of landfill space. If 10,000 people switched from 0 to 100% Post-Consumer recycled office paper for one year, the collective annual impact is equivalent to taking 230 cars off the road for a year. Turning off the water faucet while brushing your teeth can cut your usage in half. 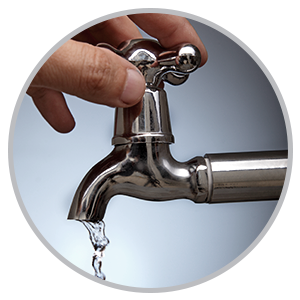 Install aerators on your faucets and save up to 40% of the hot and cold water running from your faucet. 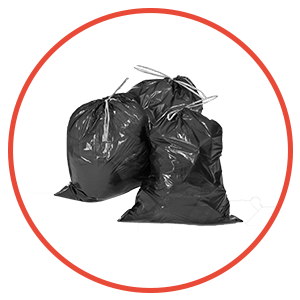 Recycling just 48 cans is the energy equivalent of conserving one gallon of gas. Since 1990, the paper recovered through US recycling efforts would fill 200 football stadiums to a height of 100 feet. The most recycled consumer product in America is the automobile, with 26 cars being recycled every minute. Every ton of recycled paper saves 17 trees and 462 gallons of oil. 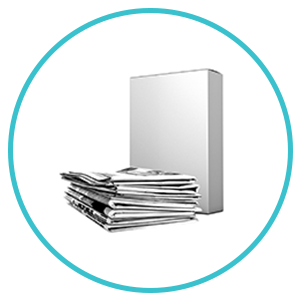 One pound of newspaper can be recycled into 6 cereal boxes or egg cartons. A typical disposable lunch, with items like single-serve yogurt, Ziploc bags, and juice boxes, creates 4-8 oz of garbage each day. In one year, this could generate up to 67 lbs. of waste. 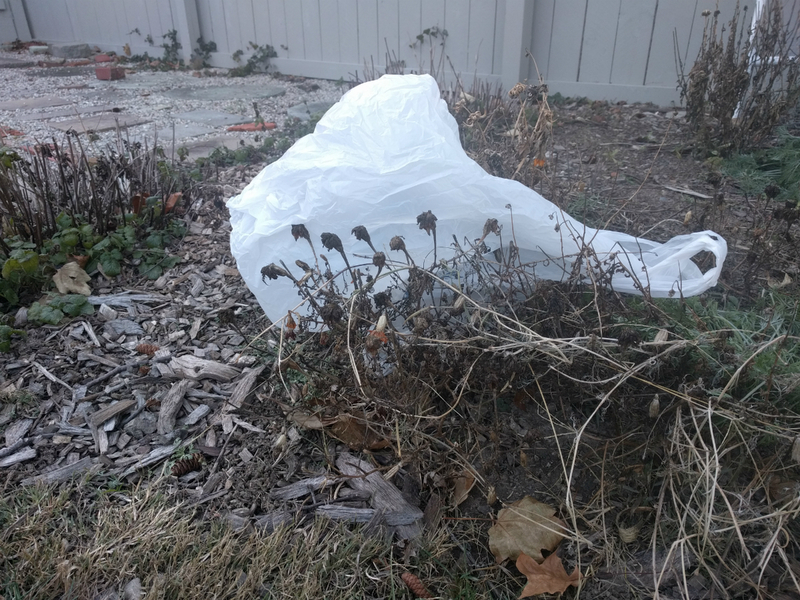 Between Thanksgiving and New Year’s, Americans throw away one million extra tons of garbage every week. The average U.S. citizen uses 200 lbs. of plastic per year and only 3% is recycled. Glass makes up 6% of all the items in a landfill and it takes over 1 million years to decompose. An average of 220 tons of computers and other e-waste is dumped annually. Close doors and heating vents in rooms rarely used and lower the thermostat and use a space heater in rooms you use. For every one degree lowered, you’ll save up to 5% on your heating bill in the winter. Unplug chargers such as cell phones and iPods when not in use. Only 5% of the power drawn by a cell phone charger is used to charge the phone. The other 95% is wasted when it is left plugged into the wall. 25-40% of all heating or cooling produced by your furnace or air condition unit is lost through leaky ductwork. Fix the duct work and save an extra $160 on the annual heating and cooling bill. Save on gas. For every mile per hour over 55 that is driven, the fuel economy drops 2%. Line drying is free. 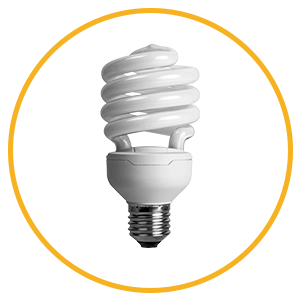 Savings in energy costs alone total up to $135 a year. The EPA estimates indoor levels of pollutants, on average, are 2 to 5 times higher than outdoor. 50% of all illnesses are either caused or aggravated by polluted indoor air. One out of every three cleaning chemicals used in US schools has been shown to cause health or environmental problems, so switch to greener cleaning products. The average home today contains over sixty-two chemicals. More than 72,000 synthetic chemicals have been invented since World War II. 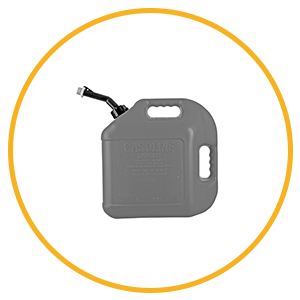 Topping off your gas tank can increase the amount of ground-level ozone and other air pollutants. 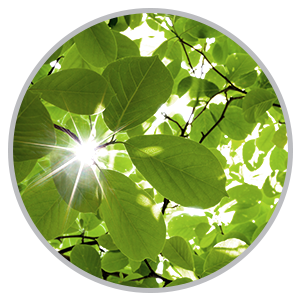 Trees purify the air and prevent global warming by absorbing up to 800 lbs. of CO2 every year. Trees intercept up to 36% of the rainfall around them, minimizing floods and water pollution caused by storm water runoff. There is enough gold above ground (already mined) to satisfy all demands of the jewelry industry for the next 50 years. The average American uses between 80 and 100 gallons of water a day while two thirds of the people in the world use less than 13 gallons per day. 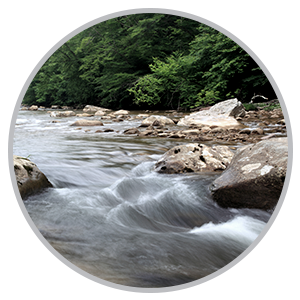 Washing one less load of laundry each month can save nearly 360 gallons of water per year. The electricity generated by fossil fuels for a single home puts more carbon dioxide into the air than 2 cars driven for a full year. The organic growing method uses up to 25% less water than conventionally growing cotton due to the excellent water retention of organic soil. Inorganic peanuts are heavily dependent on chemicals and require more than $100 worth of pesticide per acre. 10% of pesticides used in United States are on cotton crops. Shutting down an average gold mine saves 9,000 lbs. of mercury emissions per year. In the US, over 95% of leather products are chrome-tanned, producing waste that the EPA labels as hazardous. 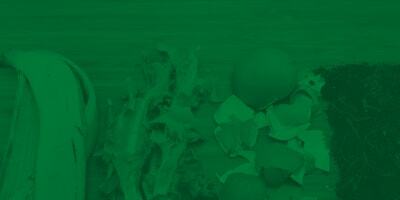 Homeowners use up to 10 times more chemical pesticides per acre on their lawns than farmers use on crops.